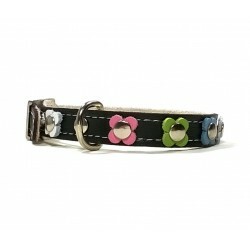 The Most Original Leather Safety Cat Collars - Superpipapo: In Style with Your Pet! All Designs are Exclusive, Original and Handmade of the Best Spanish Leather. Necksize 19cm – 24cm (7.5 In - 9.4 in). Collar sizes 29cm (11.4 in) x 12mm x 3mm. 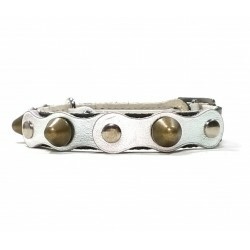 EVERY CAT COLLAR HAS A PROTECTIVE SAFETY BREAKAWAY RELEASE SYSTEM! Cats There are 98 products. Fit for any normal sized cat! 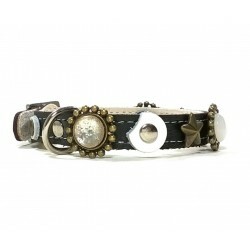 Luxury Yellow Black Leather Safety Cat Collar with original Polaris stones and ornaments. Original and Powerfull: Is Your Cat Courageous? 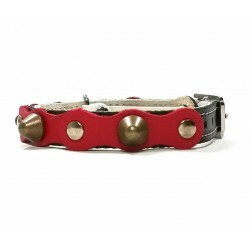 Luxury Orange and Brown Leather Collar for Cats with original Polaris stones and ornaments: A striking Total!